Writing Challenge App Data & Review - Productivity - Apps Rankings! With Writing Challenge you will enjoy a game with creative prompts to spark your inspiration and master free writing. Forget about the fear to blank page. Your writing won't stop. It's easy. You just have to press "start" and the app gives you the first prompt to start writing your story. Choose the one that you most like and fire up your writing. 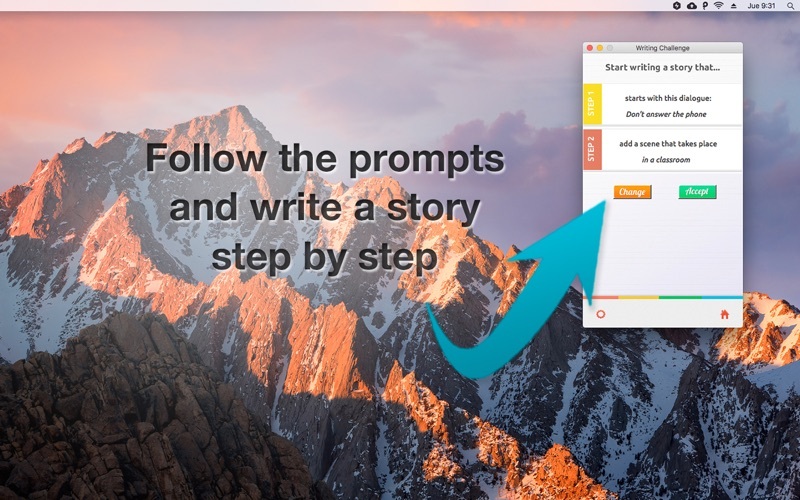 Then, every minute (or the time you choose in the app settings) the app will give you a new prompt for you to add new ideas, words, characters, sentences, places or actions to the plot. Quite a challenge to turn your writing into a game! • Improve your writing. The best way to learn how to write is writing, and you're going to write a lot. • Inspired. Forget about creative blocks and carry always the muses with you. • Get fun. Because writing must be funny and when we enjoy, everything gets easier. • Motivated. 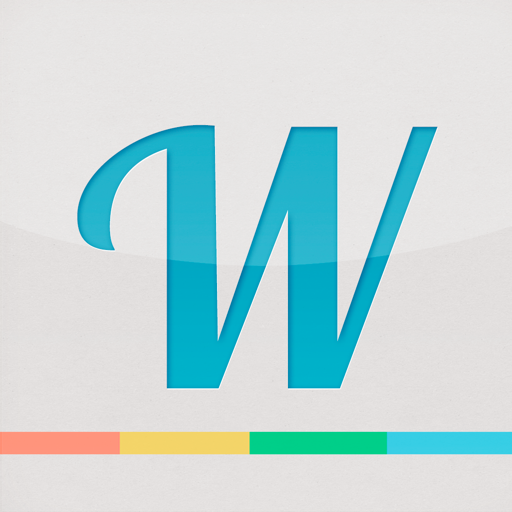 With this app, writing is like a game and you will want to write daily. • Relax. Let yourself go and don't fix the text as you write. You will have time to check it out later. • Find your own rhythm. The time between the story steps is 1 minute, but you can change it and adjust it to your style of writing. • Try out. If you don't like the first prompt, don't worry. Try different options to trigger the spark. • Don't censor yourself. Write the first thing that comes to your head, no matter what. Free your creativity. • Persevere. Write every day. Writing is like any other discipline: it takes practice, practice and more practice. • Share. Use the app to create a longer story and share it in the NaNoWriMo writing marathon. • Have fun. Use the app exercises as a game. This way your writing will flow easily and the result will be better. • Enjoy your ideas in company. You can also use the app with your friends and create great stories together step by step. Improvise and experience free writing is now funnier than ever. Great for all kind of writers, young and old. You will never fear the blank page again. Express your creativity and have fun. The applications Writing Challenge was published in the category Productivity on 2015-11-06 and was developed by SCVisuais. The file size is 4.69 MB. The current version is 2.0 and works well on 10.10 and high ios versions. We have listened to your great feedback and now Writing Challenge works in window mode, so that you will be more comfortable managing the app. Do you like Writing Challenge applications? Please share! 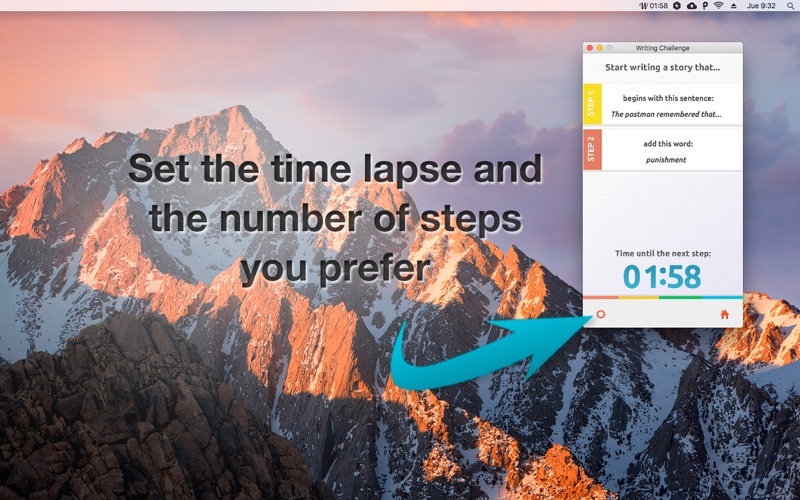 11/25/15 Amendment to my review below: The developers have adding a setting that keeps the app on your desktop while you are writing within another app. This makes all the difference. Just bought this and tried it out with iAWriter and Pages. It does what it says it will do but doesn’t do something it really needs to do. When you open it, it sticks a little “W” up in your menu bar. 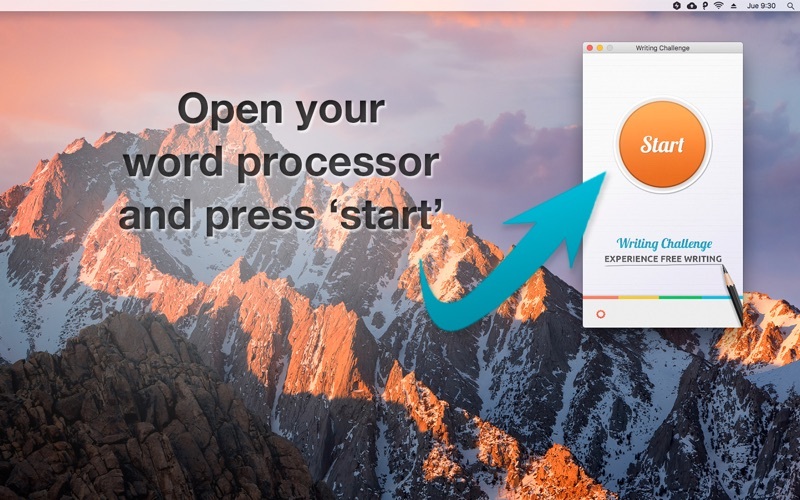 You open your word processor and click the “W”, a start box pops up with something to start with, a word or words or a setting. And you have a time, which you can set, until it gives you something else. You click the “Start” button and then type away. At the end of the time you have set, you hear a musical tone and it adds a new element to incorporate via a little grey dialogue box. But the problem is that the box with the start button goes away as soon as you start typing in your word processor. And when your next element to add comes up in the small grey dialogue box, there is no OK button on it, so that’s the last element you get until you open the big box again. 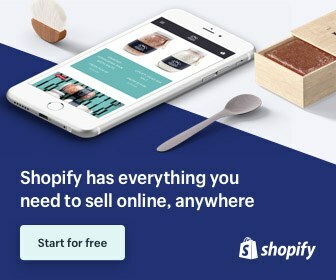 This stalls out your writing which is the opposite of what this is supposed to help you do. So until the creator upgrades this app so that either the original start box stays on the desktop OR you have an OK button in the little grey dialogue box OR you don’t have to press OK to keep the process going (the best option, IMO), this is not very good. I’d say wait for that upgrade.